Comments will be left open until next Monday, have fun! 4. 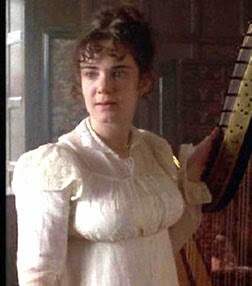 Elizabeth Bennet, the one and only. Five - Goodness, what's this! 1. I really want to know which movie this is! 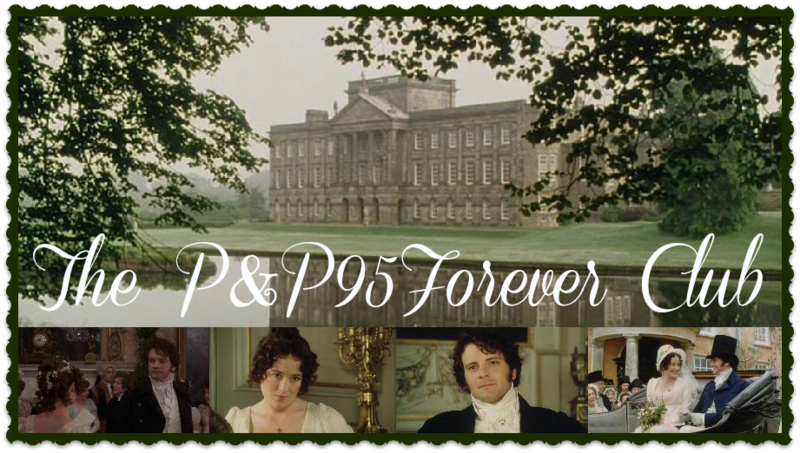 One: Mr. Bennet in P&P. Three: It is Colin Firth, and he plays Mr. Darcy in P&P. 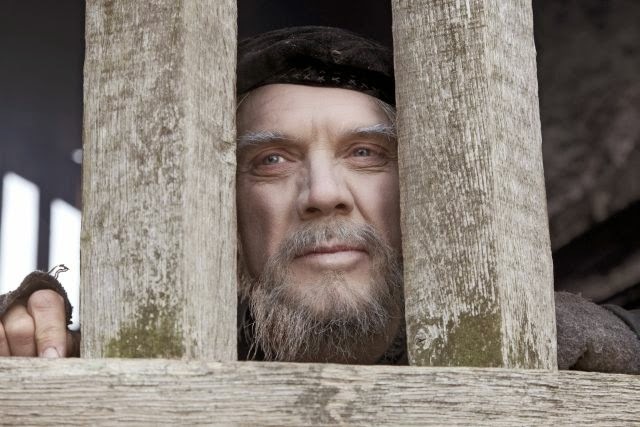 Five: I'm going to guess Mr. Colins from P&P. 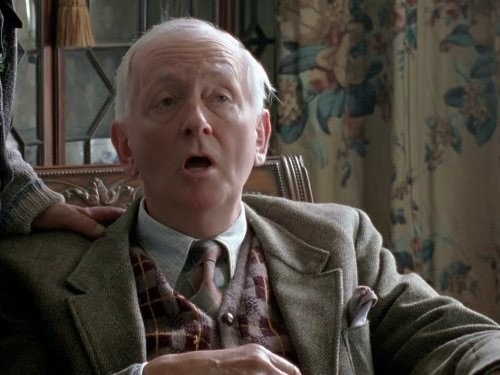 Six: The movie is "Loorna Doone," the character is Tom (I don't remember his last name), and I'm going to guess it is Colonel Fiztwilliam from P&P. 1. 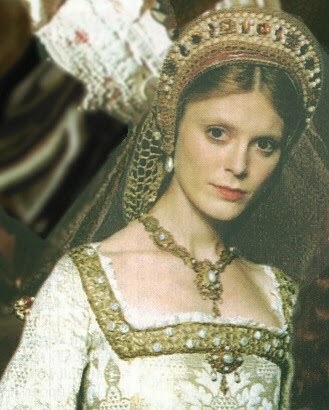 Wives Of Henry VIII? Well, let's see . .
1. 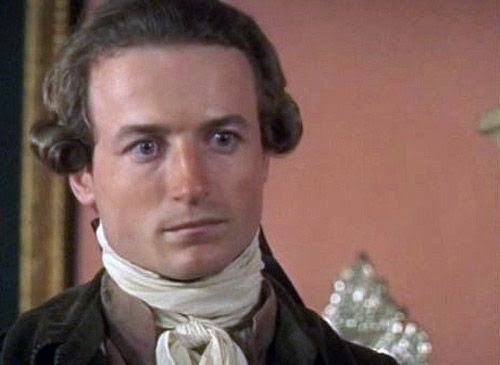 It's Benjamin Whitrow who's Mr. Bennet in P&P, I think, I don't know the rest. 2. 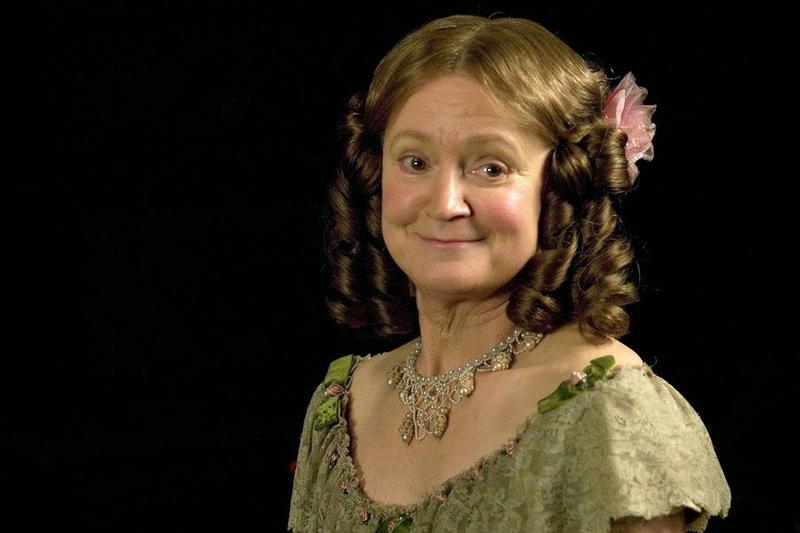 I think it's Mrs. Gardiner who's played by Joanna David. Again, I don't know the rest. 3. Ummm . 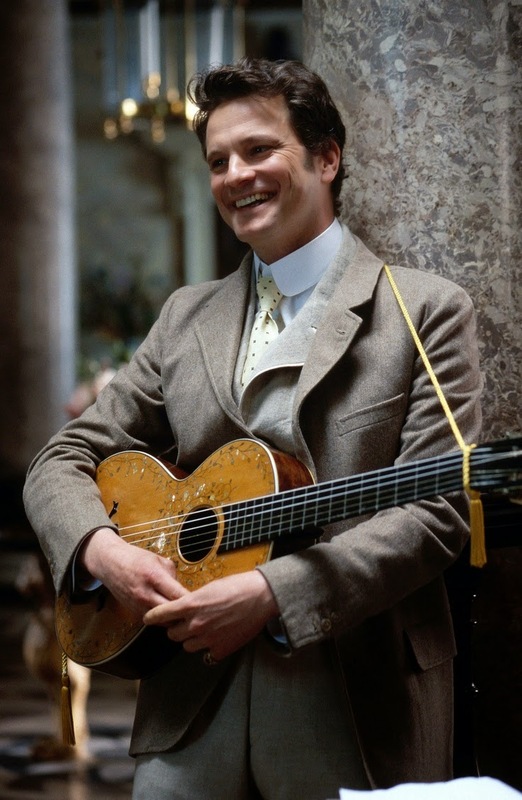 . . is that Colin Firth, Mr. Darcy, with a guitar??? And, I don't know the rest. 4. 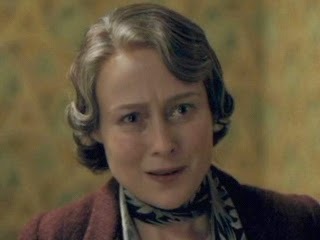 Jennifer Ehle, Lizzy, as the speech therapist's wife in the King's Speech. 6. That guy has a Colin Firth look. Mr. Darcy with a gun now??? 7. Mmm . . it looks like Julia Sawalha (Lydia). 8. Whoever plays Mr. Hurst. 9. 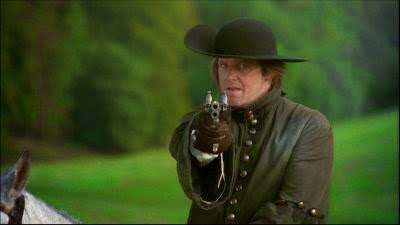 It's Mr. Bingley (Crispin Bonham-Carter. 10. "Ah, Georgiana! How I long to see her!" Emilia Fox. Thanks so much for playing, everyone! Comments are now closed. Winners and answers will be announced tonight!